The Two Dads are at their halfway point in their "Best of Horror by Corey" Series. 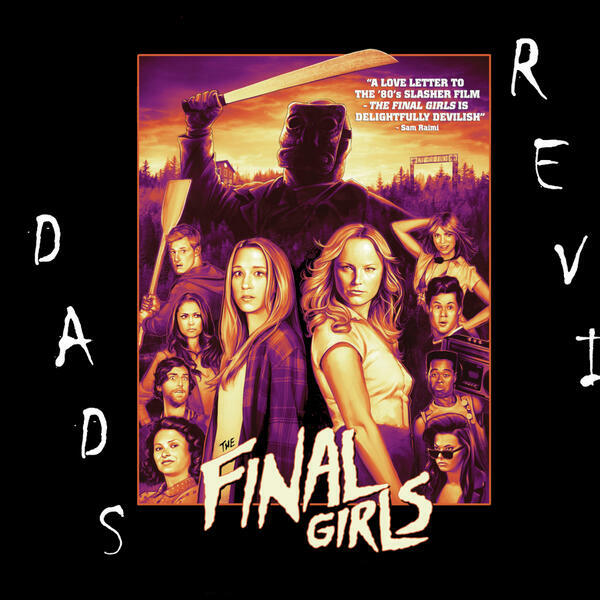 This week they tackle a lesser known gem: 'The Final Girls.' With a cast of Hollywood elite, this comedic-horror romp entertains from beginning to end. All involved just seemed to love and respect what the writers and director were going for and executed it perfectly. Treat yourself and go watch this movie. The Dads also talk a little about 'Mile 22' and its insane editing. Surely other things are rambled about as well, you know how it works. Next week for Part 4 of "Best of Horror by Corey" the Dads are watching 'Dead Snow.' Clay is super excited about reading subtitles for this movie involving Nazis, zombies, and snow. Remember to share, subscribe, and turn on those notifications. Thanks for listening!